Business Airport International Jet Cards / Pre-paid packages interview! Business Airport International is an international magazine that reviews the world’s of FBOs (fixed base operators) and general and business aviation airports for executive jet operators. 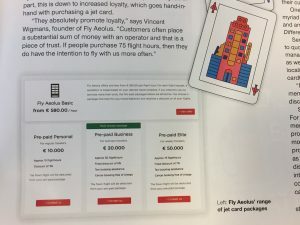 Vincent Wigmans of Fly Aeolus was interviewed by the magazine about the popularity of Jet Cards. Jet Cards are basically Pre-paid packages that guarantee an amount of hours for an hourly fixed rate. As an addition the customer who orders a Jet Card (Pre-paid packages) will have additional benefits like the opportunity to cancel the flight free of charge, taxi booking assistance etc. Especially for top level managers, CEO’s etc. who travel multiple times a year this is a nice extra. 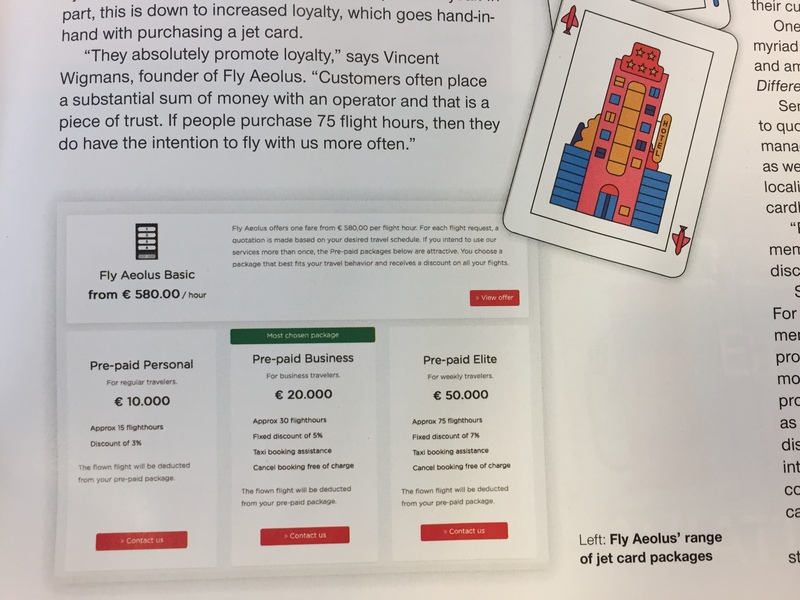 Check here to read the digital issue of Business Airport International about the usage/advantages of Jet Cards / Pre-paid packages. If you want more information about the Fly Aeolus Jet Cards /Pre-paid packages you can visit our pricing section here.